If you LOVE flowers, love experimenting with color theory, design aesthetics and working with Masters, this class is for you. Each student will bring home a brilliantly composed compote design brimming with the most spectacular blooms. Ariella Chezar is the author of Flowers for the Table and The Flower Workshop, Seasonal Flower Arranging and a Master floral designer whose work has graced the covers and pages of Martha Stewart Lving, O Magazine, Smitten, Sunset, Garden Design, Better Homes and Gardens, Domino, Real Simple, Sweet Paul and many more. Ariella started her work in the Bay Area where she was lured by the beautiful flowers. All the unusual vines, garden roses, and fruit on the branch. In that Mediterranean climate I discovered such abundance and so much inspiration. It was there that I started my business. 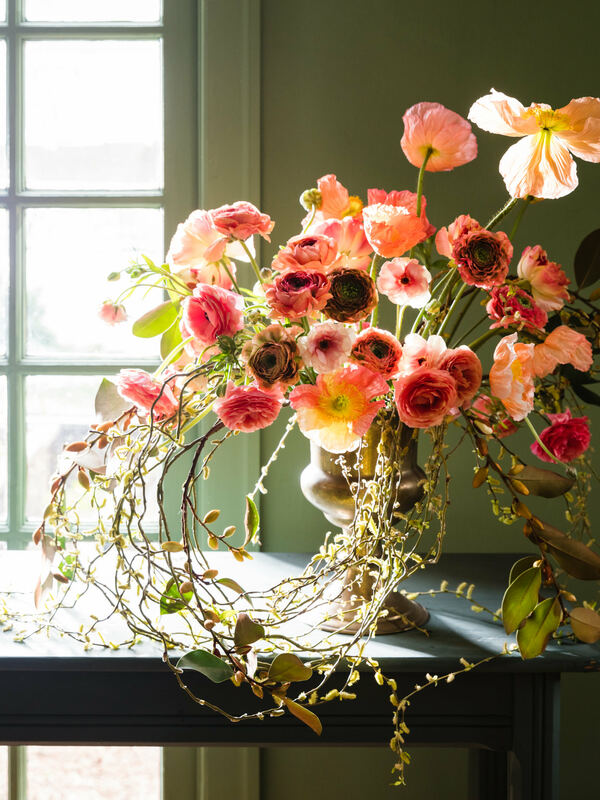 She then traveled to NYC and shortly after arriving was approached by Chronicle Books to write Flowers for the Table in 2002. With book in hand, she made her way to all the New York magazines and began working on stories with them. At the time, the trend in NY flowers was tight and contained. Ariella teaches workshops all over the world and has also designed flower arrangements for the White House. In the fall of 2017, Ariella came onto the FlowerSchool New York staff as Artistic Director and Master Designer.